The thing up top is an EEPROM reader from 1999. 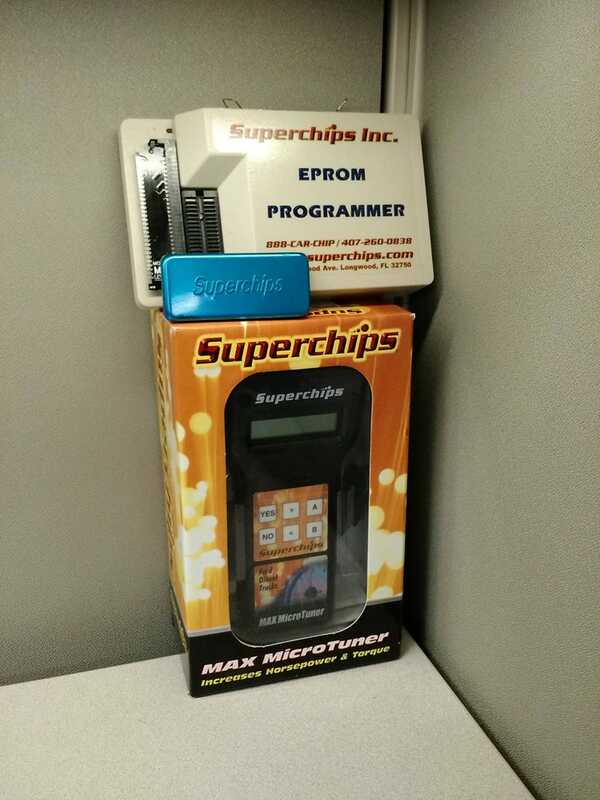 I’m pretty sure the EEPROMs in question are those old blue chips, but I’m not 100% sure. The first thing my company ever sold, sometime around the late 90s/ early noughties. These chips piggybacked off stock ECUs on a diagnostic port. A new in box tuner from 2004 that tunes 97-03 7.3L Powerstrokes. Pretty neat, especially because it’s in 10 year old retail packaging. I really like working here.